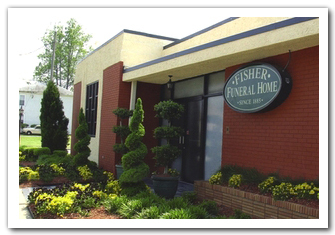 Fisher Funeral Home was established by Samuel Fisher, Jr. of Suffolk, Virginia in April of 1885 at 312 Effingham Street, Portsmouth, Virginia. He operated the funeral home for 18 years until his health failed. He also served as one of three African-American Councilmen of the City of Portmouth. His son, John T. Fisher, Sr. was called home from Howard University to oversee the operation of the funeral home in 1903. Samuel Fisher, Jr. died on April 20, 1906. Fisher Funeral Home was operated by John T. Fisher, Sr. and his brother, Jesse L. Fisher, until August 1918 when Jesse Fisher entered the United States Army. 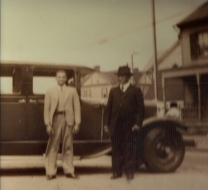 John T. Fisher, Sr. then operated the funeral home for 47 years, until his death on August 18, 1950. He was succeeded by his children John T. Fisher, Jr., and Marian Fisher Troy, who operated the business at the same address until December 1957. 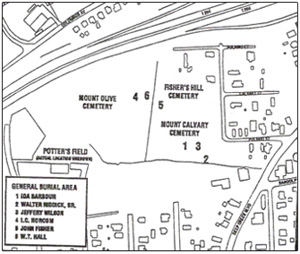 At this time, a modern funeral home was built for $60,000.00 at 1520 Effingham Street, Portsmouth, Virginia. Over several years, the funeral home was enlarged and a parking lot for 75 cars was added. In September 2001, limited renovations were done to the outside structure to include landscaping, lighted lamp post and mosaic stained windows. Also, complete inside restorations were completed to facilitate and capture beauty and extraordinary ambiance. In 2003, an additional two car garage with side carports were added. John T. Fisher, Jr. attended Eckols College of Mortuary Science in Philadelphia, Pennsylvania and graduated in 1947. Marian Fisher Troy died on July 10, 1992. John T. Fisher, Jr. died December 26, 2007. Four generations later, Fisher Funeral Home continues to offer extended services, including preneed, notoray publics, cremations and many other funeral related services to aid comunity families. Facts From "Inscriptions of Triumph"
In 1900, Samuel is listed as an undertaker living with his wife Rebecca at 312 Effingham St, Portsmouth, Virginia. Their children listed at this time were Samuel, John T., Hattie R., and David A.